Click on title to view photo in large format: The golden sands of Portstewart Strand sweep more than two miles along the Coastal Causeway in Northern Ireland. In addition to being popular for surfing, body boarding, and swimming, the beach is also a favorite with bird watchers. With new toilets, external showers, improved first aid facilities, and an on-site restaurant, families find it particularly attractive. 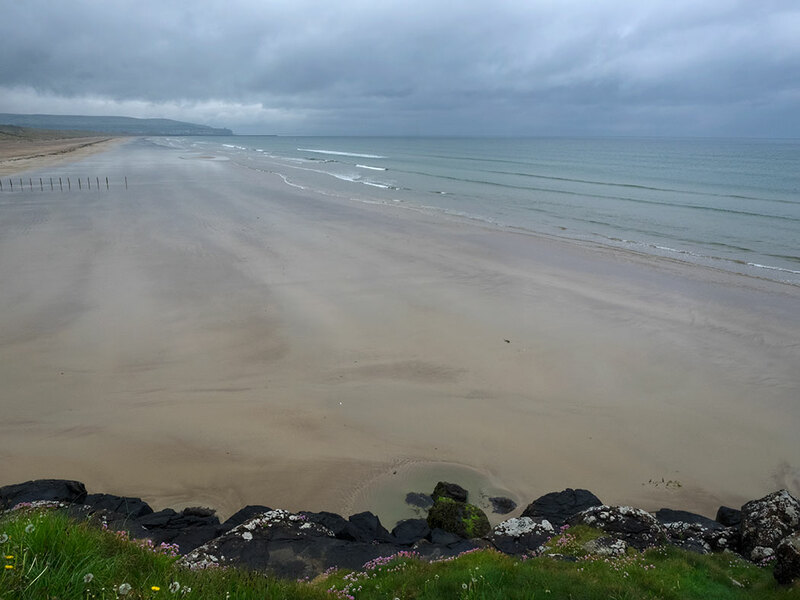 Portstewart Strand has been awarded a Blue Flag award for the management, cleanliness and quality of its water, and it is also one of the few remaining beaches where cars still drive onto the sand. CNN ranked it among its list of the world’s best beaches (99th). Portsewart Strand was also used in the filming of season five of Game of Thrones. It is where Jaime and Bronn, disguised as Martell soldiers, approach the gates of the Water Gardens.